This one was my FAVORITE!! Can you tell?? 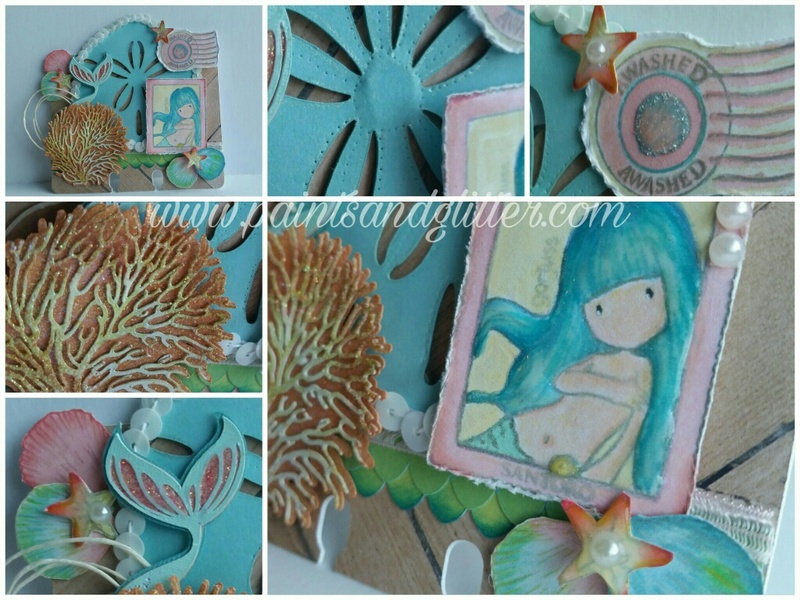 I used Mermaid Lagoon and Cracked Pistachio Distress inks on the mermaid's hair, followed by different colors of Prismacolor pencils to give it dimension. For shine, I added Sakura Clear Star pen, and Glossy Accents. 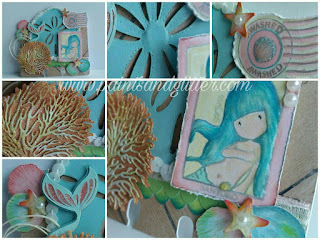 To make the Coral, I layered two pieces of cardstock. 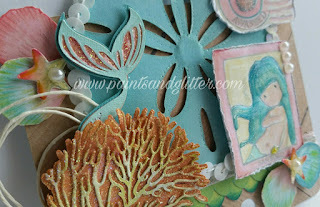 I used Spiced Marmalade Distress ink, and Ranger Embossing powders to make it look like real coral with shine! 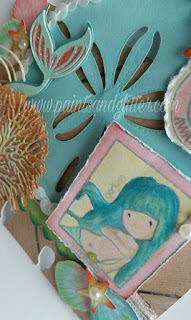 I also added sequins to the Sand dollar. 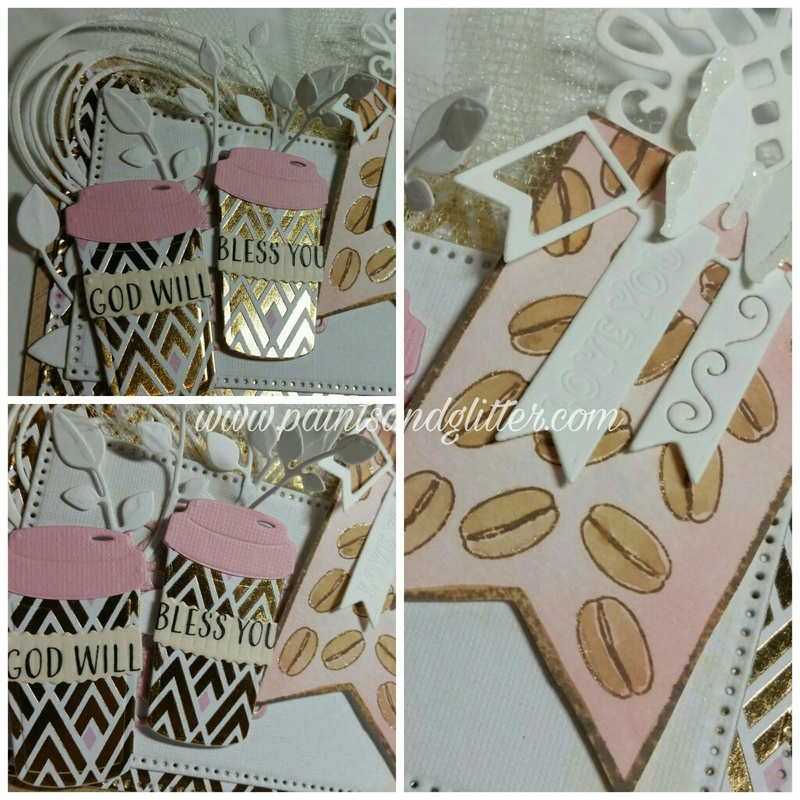 All of the dies here were cut with my Cricut Explore Air 2. The Stamps were distressed with the Cricut Distress tool for a weathered look. 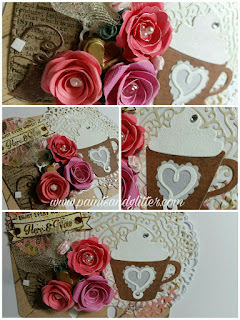 For this teatime card, I used Cottage Cutz Cup of Love dies, as well as several other dies from my stash. 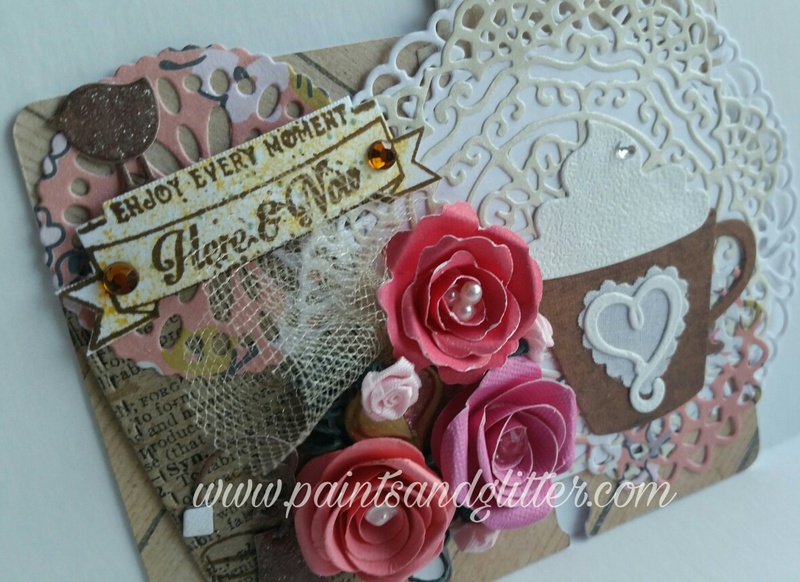 To make this flower cluster complete, I added a hear I made with plaster, painted in gold and pink, as well as tulle, and rolled flowers that I made from different pink papers. 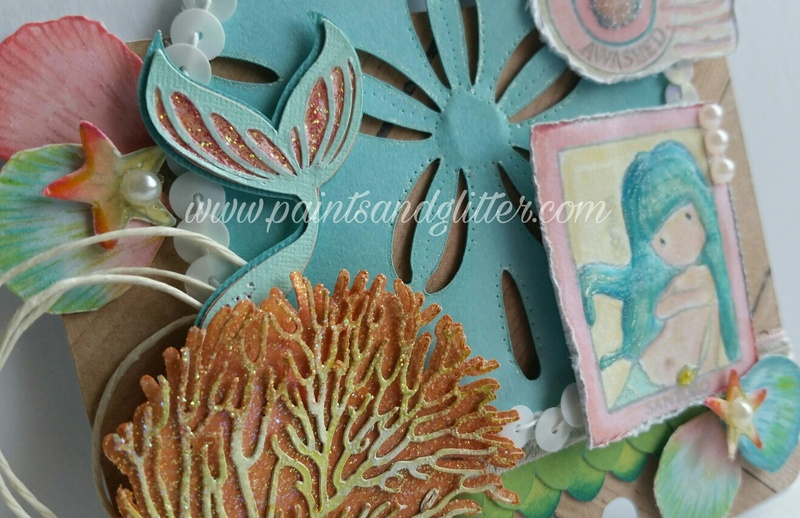 The centers each have a different type of pearl. 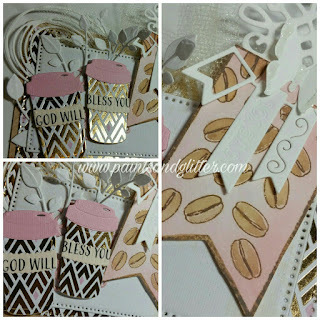 The coffee "Foam" was embossed with Ranger Embossing powder. 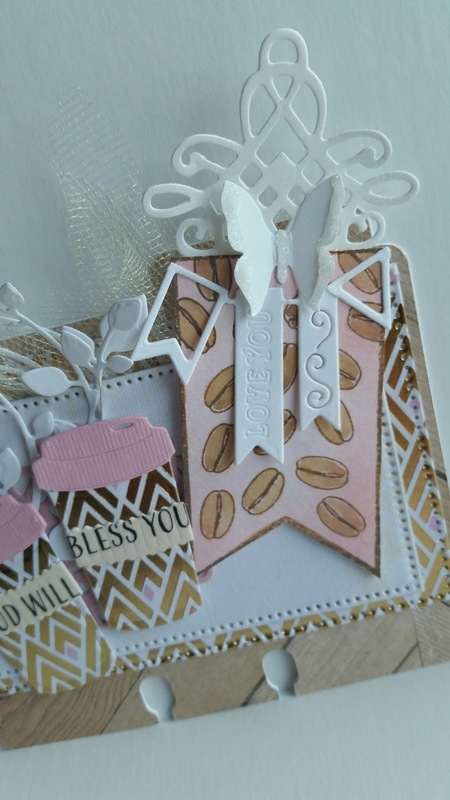 For this card, I used Coffee dies from Spellbinders, and combined a banner stamp with coffee bean stamps. It was SUPER EASY with the TH platform!! Other dies and punches were from my stash also. 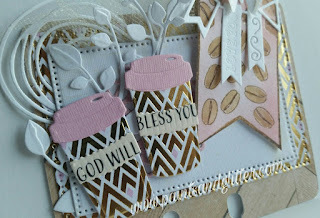 The sentiment on the cups was made with Washi Tape :). 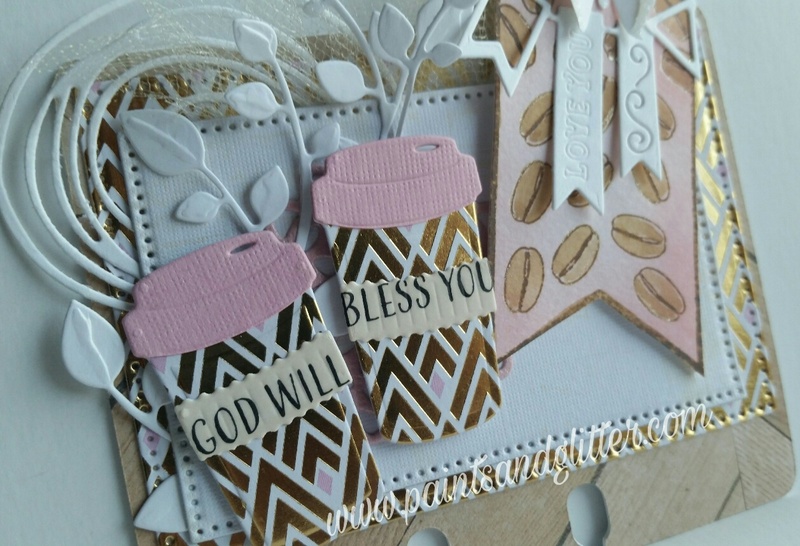 I colored the banner stamping with Ranger Distress and Oxide inks for a soft brown and pink look. 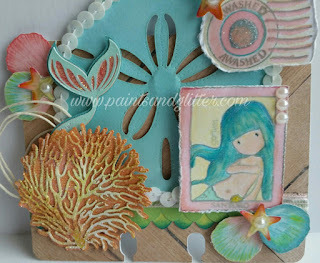 To watch the process of the stamping and mermaid card, watch my video!